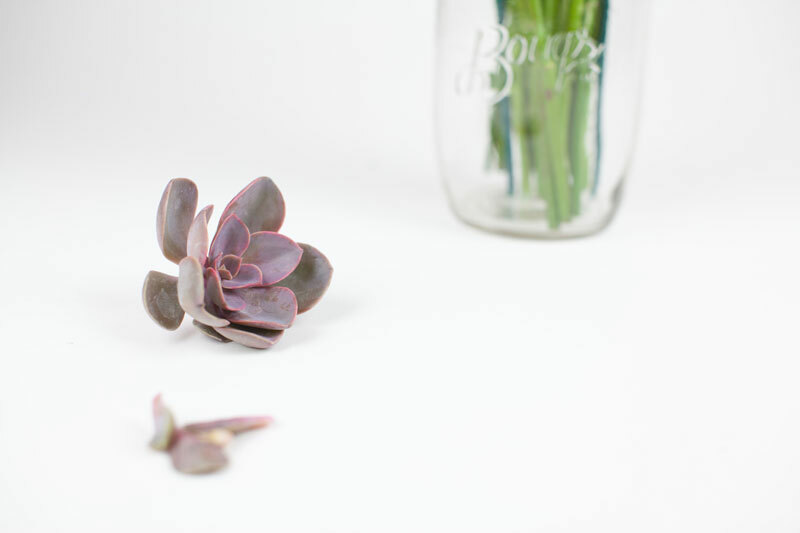 Home / Grief & Loss / Bouqs Review: Should I send Bouqs flowers as sympathy flowers? 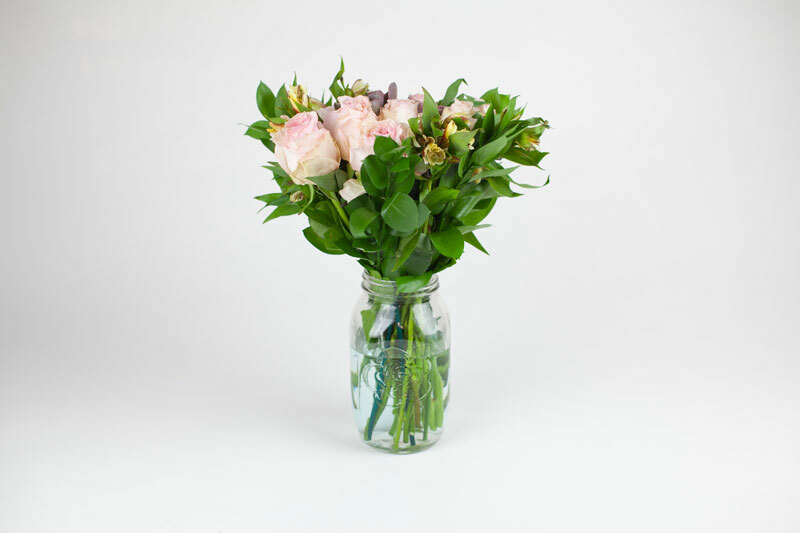 Bouqs Review: Should I send Bouqs flowers as sympathy flowers? 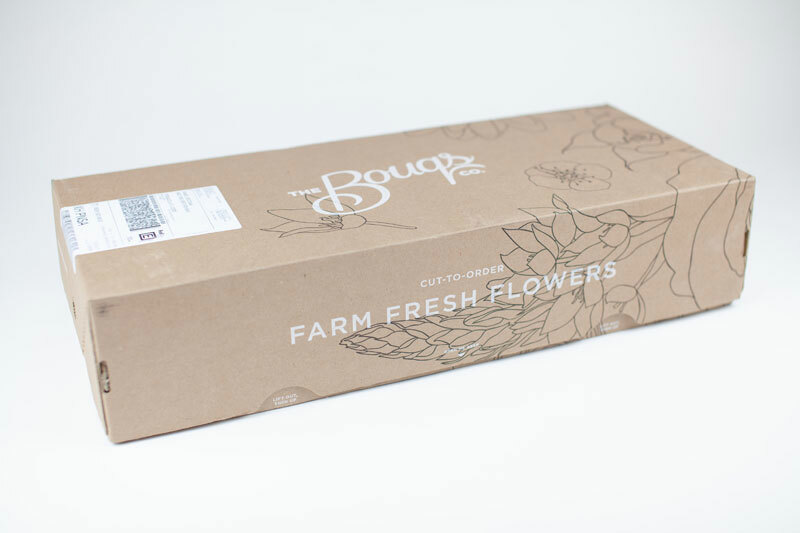 The Bouqs Co. is a flower company that will send flowers to someone you love. 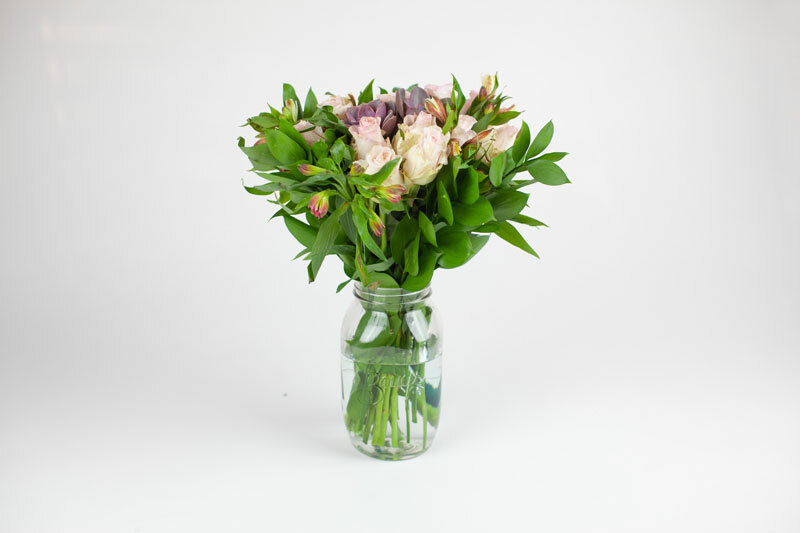 The thing that makes them unique is a focus on how the flowers are sourced and sent. 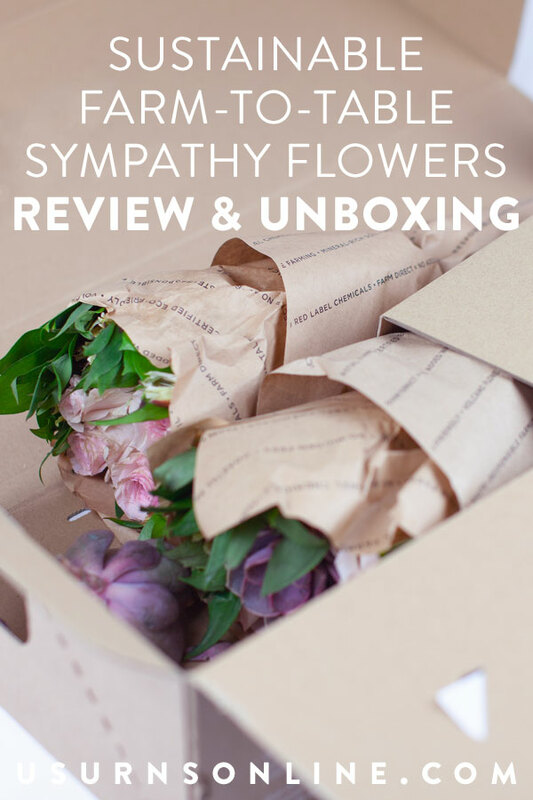 Today, our question is, “Should I send Bouqs flowers as sympathy flowers?” I’ll answer by way of providing a Bouqs review, looking at both their company and the actual experience of receiving a delivery of flowers. Ok, so let’s start by making it clear that the links below are affiliate links. This means that if you should choose to purchase something after clicking one of the links, we will get a small commission at no extra cost to you. That’s how blogs like us can provide info free of charge. Further, I received the flowers at no cost in exchange for my review. With that said, let’s take a closer look at the Bouqs as a company. They advertise a “farm to table” model, in which your flowers are cut to order the same day and shipped directly from the growing farm. This means that no flowers are wasted, i.e. cut and not sold, as can happen in many other florist business models. All their farms practice “sustainable, eco-friendly farming,” which sounds nice enough. However, I believe there is some debate by industry watchdogs about what, exactly, those terms mean. I looked around their website and they don’t really clarify what qualifies as sustainable or eco-friendly farming practices. The more I browsed, I was able to find some additional info on the origin of their flowers. For instance, the bouquet they sent me was a “Deluxe” (24 mixed stems) sized one called “Wild About U.” When I looked on that product page, I discovered they feature a nice little “Meet the Farmer” section that tells about where they were grown, who grew them, and even includes a minute-plus video of the farm of origin. It was in this info section that I learned that the farm where my flowers were grown is Certified American Grown, which basically means that yes, these are grown in the USA. In the video, the farm owner, Mike, talks about how they care for the earth and their soil in particular by managing runoff and minimizing water use. So it sounds like they try to have good practices, there’s just not a lot of clarity about what “sustainable” and “eco-friendly” metrics they meet, or if there even are such things. Let’s move on to my personal experience with The Bouqs flowers. The day after they told me they were going to send a sample, a package showed up in an attractive cardboard box. It was sent Next Day Air (Overnight) via FedEx. I would imagine that it could just as easily be UPS or another delivery company (your mileage may vary: because they source from different farms, I’m sure they sometimes use different carriers). I opened the box right away, knowing that inside were flowers in need of hydration. Upon lifting the lid, I found two cards. 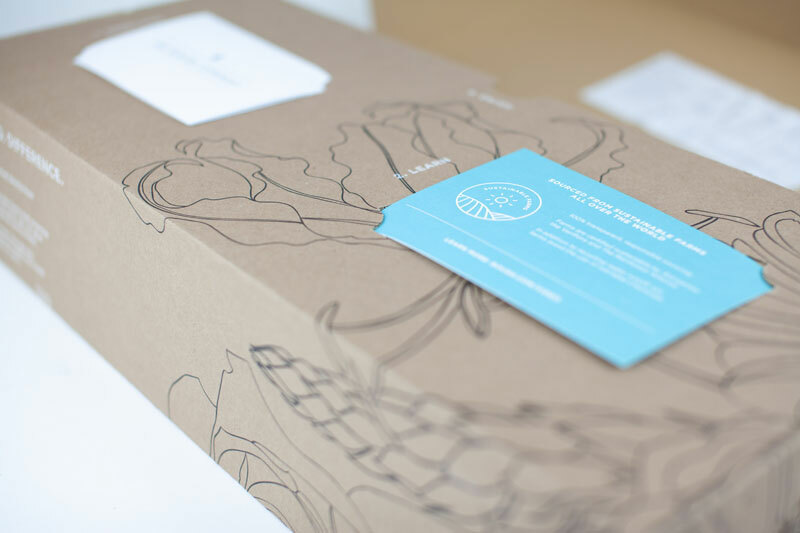 The first was an elegant white gift note-type card, and the second an informational one talking about their sourcing along with a discount code for your first order and social media info. The gift card, which you see (blurry, but there!) on the upper left side in the photo above, says, “THE BOUQS COMPANY” on the front, along with their logo. Inside there was a little message to me (“Please enjoy our ‘Bungalow’ Bouq!”) along with some care tips. I have no idea what “Bungalow” refers to, as the care tips clearly referred to it as the Wild About U Bouq. The card had plenty of open space so I presume you could easily add a short (or lengthy) sympathy message if you send these as sympathy flowers. Farms are certified sustainable by 3rd parties like Veriflora and The Rainforest Alliance. In addition to recycling water runoff, our farms avoid the use of red label chemicals. Inside the card is some advertising copy, social media info, and a discount code. I was encouraged to read here that the farms are certified as sustainable by 3rd parties. I just wish those details were a little more clear on their website. The third bit of info you see upon opening the box is a sticker (in the next photo, the white blob in the upper left of the image, attached to the lid) that has more details on care and trimming. So that is how the flowers were packaged. 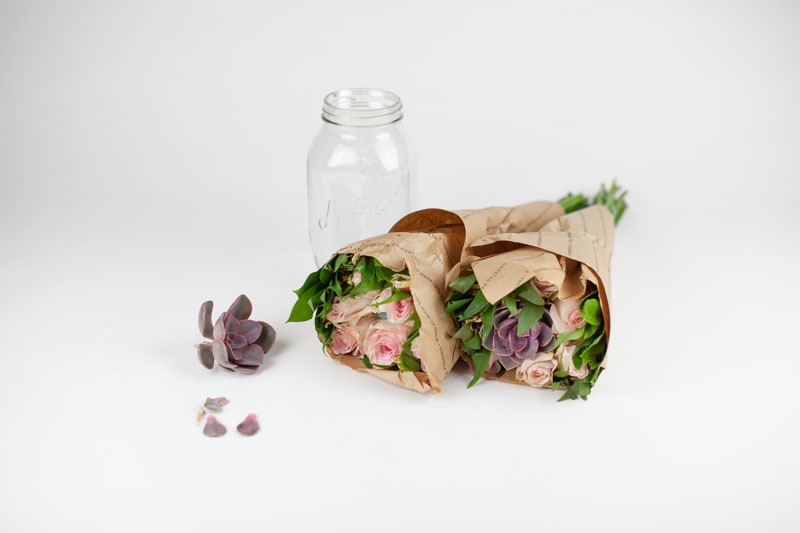 Wrapped in brown paper, one of the two 12-stem bouquets was placed inside the glass vase, which was protected by a square cardboard sleeve. 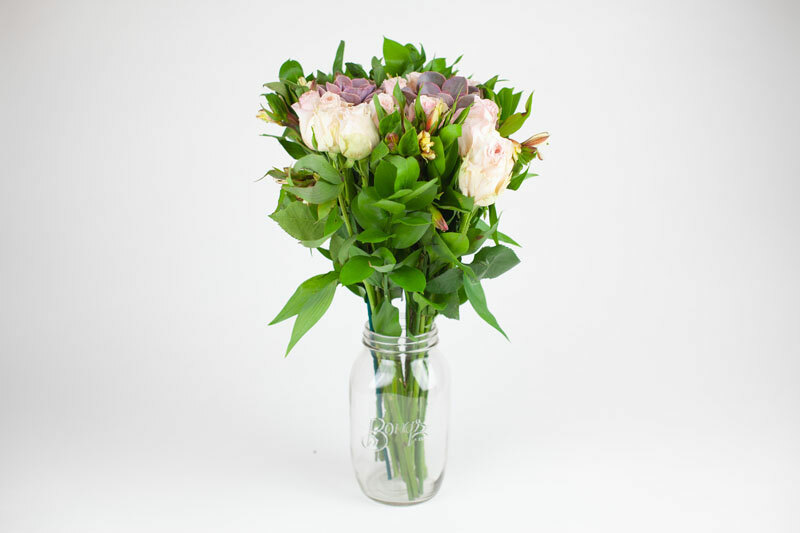 The glass was in perfect condition and the flowers had minimal damage, so it seems like the packaging was done right. Here is everything right after it came out of the box. My initial reaction upon opening the box was, “Hey, these look pretty great!” The colors were vibrant, they smelled pleasant, the vase was lovely, and the card noted that after we’re done with the flowers we can re-plant the succulents and keep them forever. That was a nice little surprise. The succulent still looked ok despite the loss, so I didn’t think much of it. It’ll grow back. Not too bad, eh? After I snapped this photo, I read over the instructions again carefully and trimmed the stems. I cut about 3 inches off, at a 45-degree angle, and filled the vase with water and the included flower food mix. 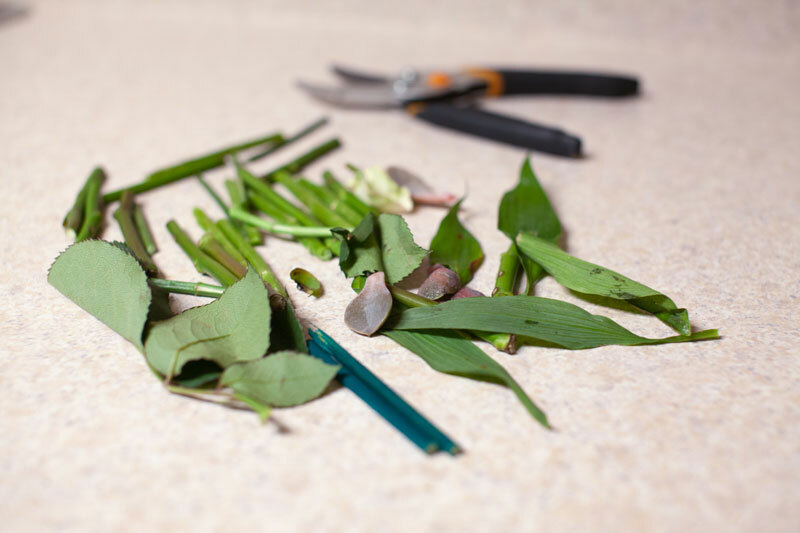 These are the trimmed stems plus the bits that were lost (or that I trimmed) along the way. 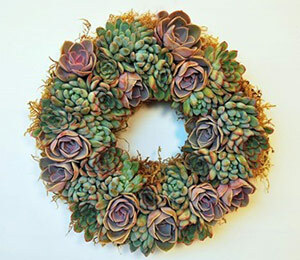 This includes every bit from the box, mostly those three succulent petals. The instructions didn’t say how to trim the sticks that held the succulents, so I just snapped them. They broke pretty evenly. There are some unopened buds and the main flowers are pretty well closed up, so we’ll see what happens over the next several days. I’m also supposed to trim the stems a little and change the water every two days, not sure that’s going to happen but again, we’ll see. 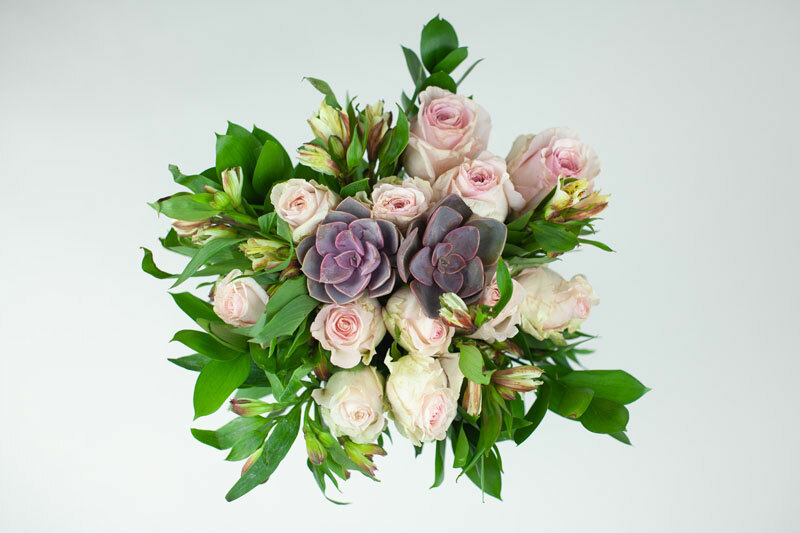 Once again, this is the “Wild About U” bouquet from ‘Farmer Mike’ in California. It includes alstroemeria, solidago, aster, and a succulent. Since I got the “Deluxe”, I got two succulents and 24 stems. 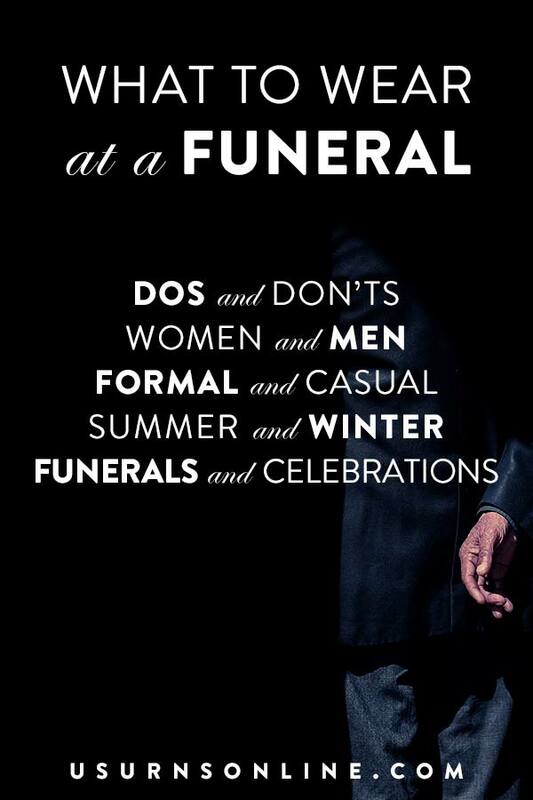 Should I send the Bouqs as funeral sympathy flowers? 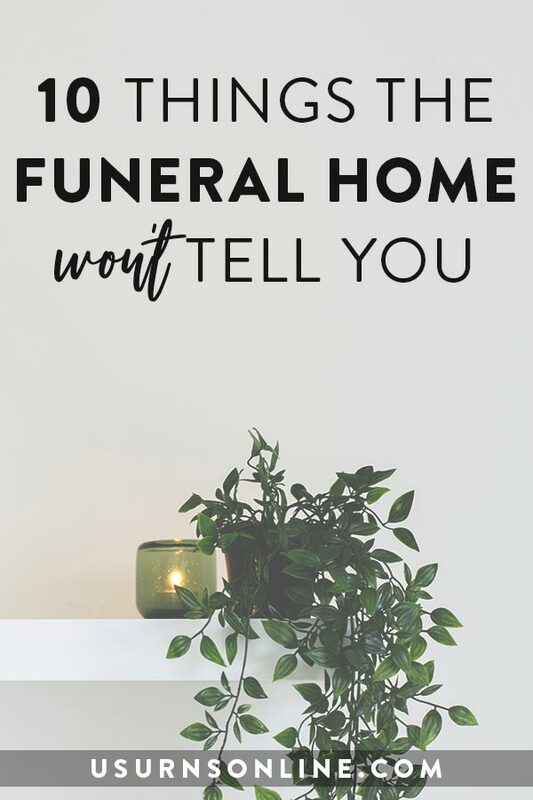 If you would like to use my experience to help you decide if this is the right company to handle your funeral sympathy flower delivery, then here are a few questions followed by my answers. Upon opening, did I think, “This is cheap”? No. 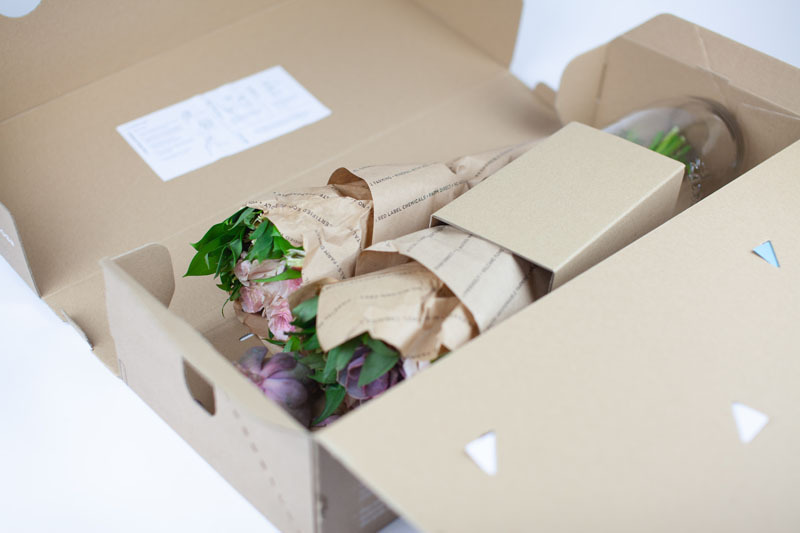 The packaging and the flowers themselves are quite nice. Please note that I did receive 24 stems plus a vase; 12 stems and no vase would have seemed a little slight, especially for sympathy flowers. I would suggest going with “Deluxe” (24 stems) or “Grand” (36 stems) and including the vase to ensure the “wow” factor. So, yes, personally I would choose the Bouqs to send sympathy flowers for the family of a loved one. In addition to the questions answered above, they emphasize sourcing, sustainability, and eco-friendly practices at the forefront of their mission. You can easily choose a bouquet that is grown in the USA, and you can also learn some things about the farm’s priorities and practices before ordering. 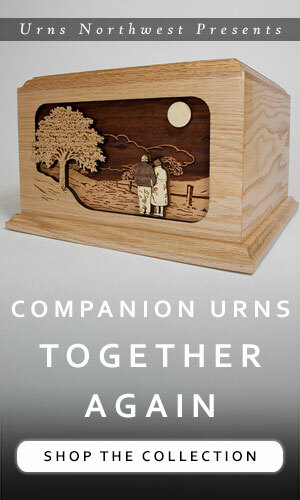 This adds a lot of value for me, and the thoughtfulness is communicated to the recipient in the packaging. Personally, I liked the colorful mix of the Wild About U bouquet. 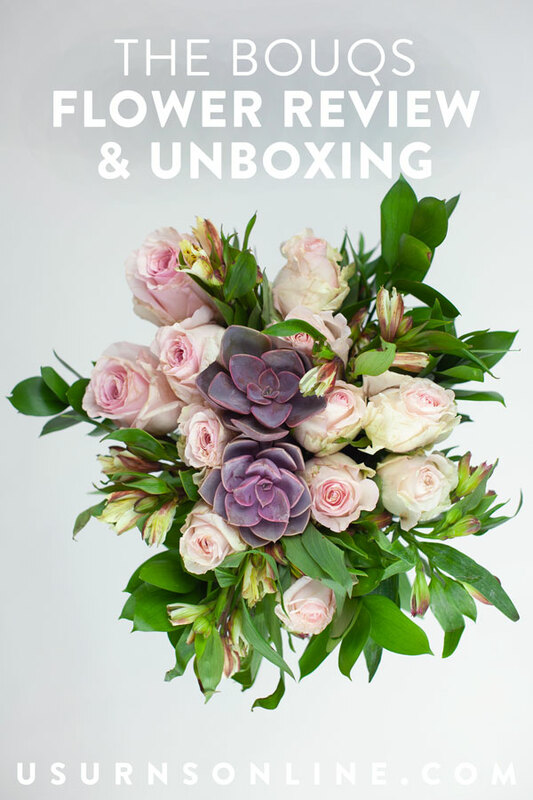 If you shop the Bouq’s website you can find plenty of traditional white sympathy flower choices like lilies and white roses, but I think a splash of color can sometimes be a good choice, especially if you choose to give a subscription for flowers that will be delivered for several weeks or months. 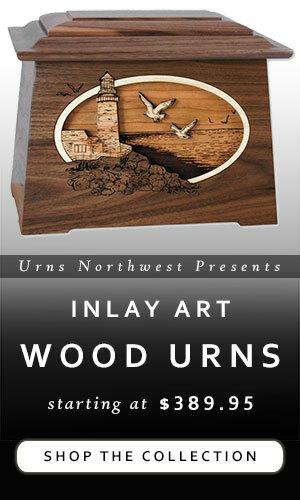 In any event, you can click here for that 15% off to be applied to your first order. What is the "Death Positive" Movement?